Snake bites were a widespread fear in ancient Israel. The Talmud warns that snakes can be found in houses and records a snake attack that occurred in the toilet, so going to the bathroom was a risk to one’s life. (Snakes still appear to make relieving oneself in the Holy Land a dangerous enterprise, if this report is to be believed.) And because of the possibility that a snake had discharged its venom into a standing bucket of liquids, the Talmud ruled that it is forbidden to drink from a liquid that had been left uncovered [Terumot 8:4] – a ruling codified, (with some changes) into normative Jewish law. Actually, there is no danger in drinking at all, even in places where snakes are found. Snakes only discharge their venom when they intend to bite, not when stopping for a drink. And even if there was venom in the liquid, snake venom is not absorbed by the human gastrointestinal tract, so it would have absolutely no effect. Still, this shows how dangerous snakes were thought to be, and so when they did not bite, it was considered to be miraculous. Hence the Mishnah (Avot 5:5) records that one of the ten miracles that occurred during the time of the Second Temple was that no person was ever injured by a snake. Snakebites remain a threat in Israel and beyond (though in my six years of working in Jerusalem as an emergency physician I recall treating only one victim; he was a handler at a private snake collection- who should have known better.) In the US, venomous snakes are found in every state except Maine, Alaska and Hawaii, and each year in the US there are about 2,000 recorded venomous snakebites that result in about 6 deaths. The World Health Organization estimates that snakes kill between 20,000 and 94,000 people per year. Snakes are such a problem for Israel and its neighbors that in 1998 the Israel Defense Forces (IDF) and the Jordanian Armed Forces held a joint conference on the topic. Since snakes are cold blooded, they are virtually inactive in the winter months, and summer time can be too hot for them; hence they are most active in the spring and fall. Like the report in today’s page of Talmud, the IDF found that the peak incidence for snakebites is May (that is, harvest time). Snakebites in the IDF. Average incidence per month, 1993-1997. From Haviv, J, et al. Field treatment of snakebites in the Israel Defense Forces. 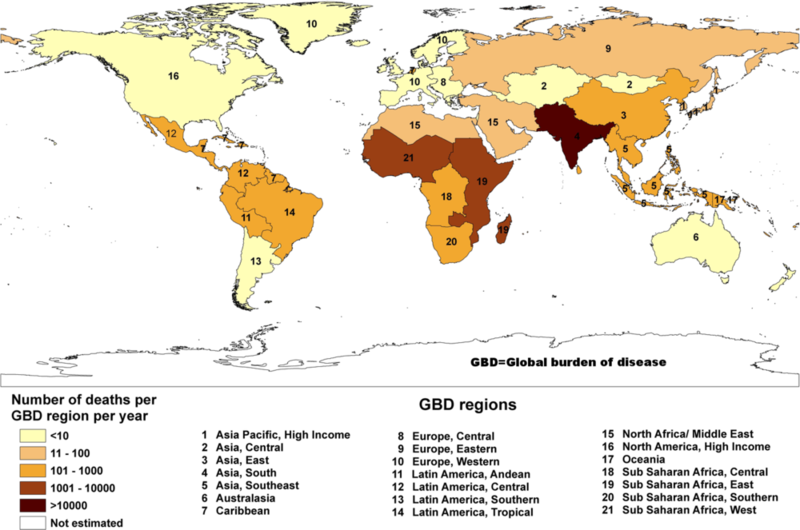 Public Health Rev 1988; 26:24-256. There are at least eight species of poisonous snake found in Israel, of which the most common is the Palestine Viper, (shown in the photo above,) which is found in all regions north of Be’er Sheva. It is this snake that is responsible for all the fatal snake bites in Israel, though the IDF reported not one fatality during its five year study period. sidebar: palestinian or israel viper? One snake living happily, called two names by two peoples. There's a lesson there somewhere. But I digress. Haviv, J, et al. Field treatment of snakebites in the Israel Defense Forces. Public Health Rev 1988; 26:24-256. Snake venom produces its deadly effects by causing a coagulopathy, which is the general name for a breakdown in the normal way the blood clots. When things get really bad, snake venom causes a consumption coagulopathy, in which (as its name implies), all the vital bits that are needed for blood to clot are consumed, leaving the poor victim susceptible to life-threatening uncontrollable bleeding. Here's a chart of the clotting pathways that medical students have to learn (a process only slightly less painful than a snake bite itself,) with the bits that venom attacks shown in green. Diagram of the clotting pathway showing the major clotting factors (blue) and their role in the activation of the pathway and clot formation. The four major groups of snake toxins that activated the clotting pathway are in green and the intermediate or incomplete products they form are indicated in dark red. There are four major types of prothrombin activators, which either convert thrombin to form the catalytically active meizothrombin (Group A and B) or to thrombin (Group C and D). From Maduwage K, Isbister GK. Current Treatment for Venom-Induced Consumption Coagulopathy Resulting from Snakebite. PLoS Negl Trop Dis 2014. 8(10): 1-13. The standard treatment for snake envenomation is antivenom. (This is a technical term for something that is anti the venom.) In the 1950s antivenom was already part of the standard treatment of viper bites in Israel, though apparently it was then called by the far fancier name of "serum antivenimeux." (If chemistry or immunology is your thing, you can read more about how viper antivenom was made in Israel here.) These antivenoms work in a number of ways, one of which is by blocking the toxin and preventing it from binding to its target (i.e. those green diamonds in the diagram above). Snakes aren't only associated with coma, convulsions and death. They are - paradoxically - often associated with those who heal. 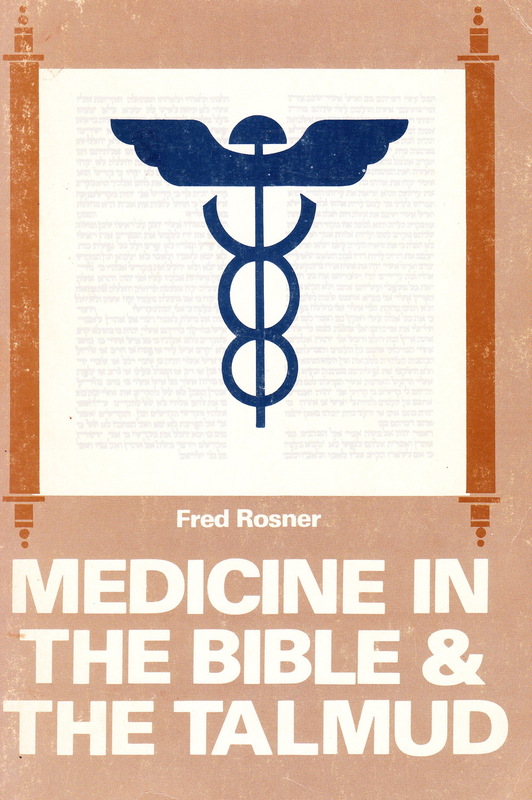 Here is the cover of Fred Rosner's book; notice what looks like two snakes wrapped around a winged pole. Compare that image with the insignia of the US Army Medical Corps below. The image you see is the caduceus, the rod carried by the Greek god Hermes (known as Mercury when in Rome). But in fact this double-snake flying-rod has nothing to do with healing, and is erroneously -though very widely- used as a medical emblem. But as an article in the Journal of the American Medical Association points out, the adoption of the double-snaked caduceus of Hermes - at least in the US - is likely due to its having been used as a watermark by the prolific medical publisher John Churchill. The correct mythological association is with the Staff of Asklepios, the ancient Greco-Roman god of medicine. In one legend, a snake placed some herbs into the mouth of another serpent that Asklepios had killed, and the dead snake was restored to life. As a mark of respect, Asklepios adopted as his emblem a snake coiled around his staff. While the US Army Medical Corps uses the caducues as its badge, on its regimental flag the US Army Medical Command uses the more appropriate single snaked staff. Oh, and a rooster. Fortunately, the Israel Defense Forces clearly know a caduceus from an Asklepios. They adopted the correct Greco-Roman mythological symbol for the medical unit of the first Jewish army in 2,000 years. The Greeks may have had their tradition, but we have ours. And in ours, it is never the snake that heals. Newer PostYevamot 118b ~ Does Marriage Make You Happier?